Former African champions JS Kabylie of Algeria are out of contention in the Confederation Cup following a 2-0 loss in DR Congo to DC Motema Pembe. Both goals came late in the game with Inasawa Nfumu scoring a penalty in the 80th minute before Ngandu Junior sealed the result eight minutes later. The result means Kabylie are bottom of Group B without a single point so far. 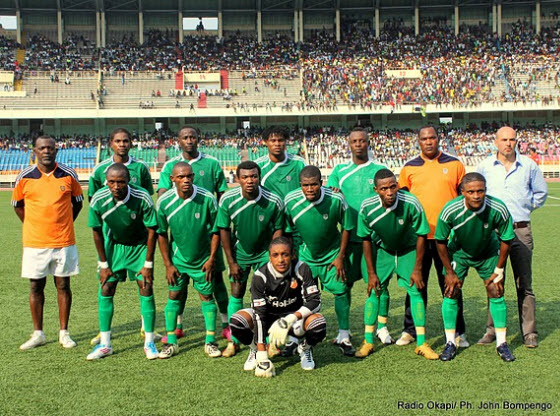 Motema Pembe are still in with a chance of claiming a semi-final spot with seven points from their four games. The other group game is MAS of Morocco in Nigeria to play Sunshine Stars. The games in Group A are on Sunday as Kaduna United of Nigeria host Asec Mimosas of Ivory Coast and Angola's InterClube play visiting Club Africain of Tunisia. Club Africain top the group with 5 points, followed by Asec and InterClube a point behind, Kaduna are last with 2 points from their three games.